Jesus, Mary and all saints please pray for my parents health, peace and understanding. Esp mother's health. Pray for sister and Bro In Law for their better life, health and peace along with their expected child. Pray for my younger sister for her better future, job, peace & health. I surrender myself and heera for our wedding 07th May 2012. 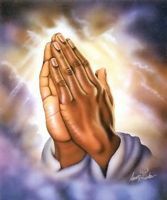 I pray for the new job, Pray that visa comes in time.